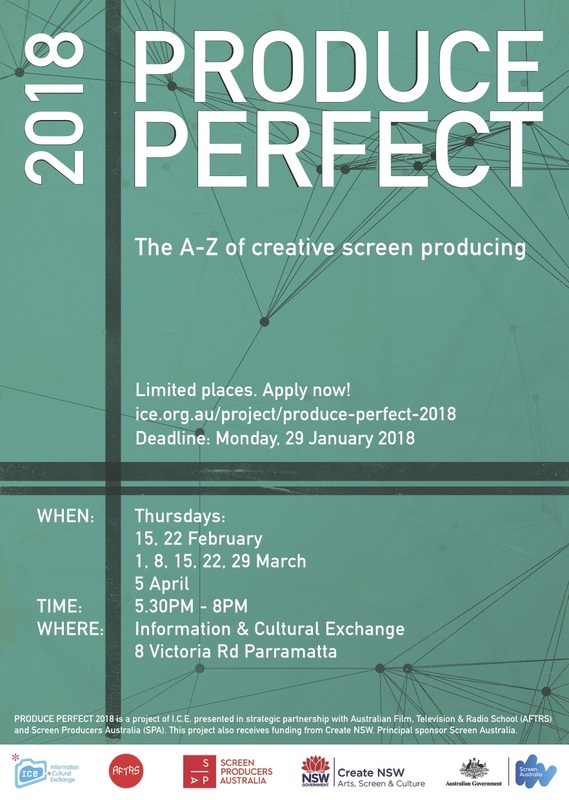 PRODUCE PERFECT 2018 is an 8-week intensive skills development workshop program for emerging Western Sydney screen content producers. The program is designed to assist local screen creatives to reach the next step in their careers. 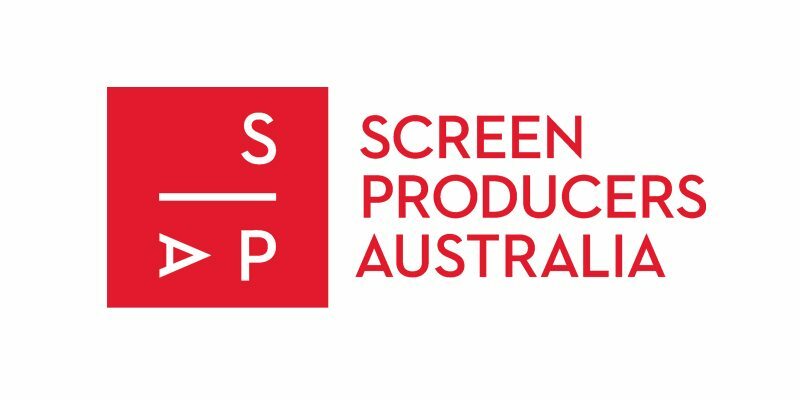 PRODUCE PERFECT works with filmmakers based in the Western Sydney region who are serious about pursuing a career in screen content producing. The workshop program included guest speakers and facilitators who are experienced screen industry professionals sharing their knowledge and insights for creating a viable screen business in Western Sydney. 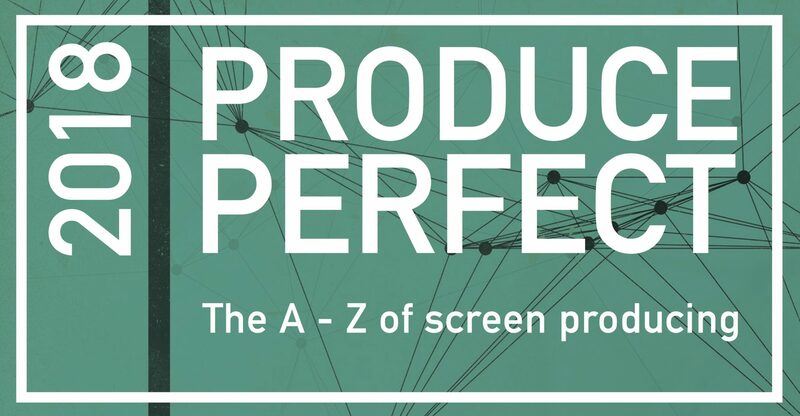 The final session of Produce Perfect 2018 is the Pitching Session, participants will each take turns pitching to a panel of guests from the screen industry. The panel will then provide feedback and select the top three pitches of the session. Sarah joined Goalpost Pictures as their Development Executive in 2016. She draws on extensive experience in the Australian film and television industry having worked for several independent production company’s including Mint Pictures and Beyond Productions. Before entering the film and television business full-time, Sarah worked for two years as an entertainment lawyer at Media Arts Lawyers. With numerous award-winning credits to her name, Lisa Duff’s career spans over 15 years. She was producer of the critically acclaimed documentary Sexing the Label, an insight into gender labelling in Sydney’s queer community. Lisa has also produced a number of dramas and documentaries with Indigenous Directors including drama Road for Australian broadcaster SBS and Leah Purcell’s short drama Aunty Maggie & The Womba Wakgun for the ABC’s series The New Black. Lisa taught Film and Television at the Eora Centre, an Aboriginal College for Visual and Performing Arts for 15 years and completed a Masters thesis on the impact of the global film industry on Australian film making culture. She currently works as an Investment Manager at Screen Australia, Australia’s federal government film financing agency, having worked in documentary and currently in feature film and TV drama. Sally Regan has over 30 years experience working in the screen production sector. Previously, Sally worked as a Development and Production Executive at Screen NSW working across documentary, features and television drama. Her producer credits include the multi-award winning theatrical feature documentary thriller Forbidden Lie$ and she also co-produced the international Russell Crowe-featured series The Colour Of War, and produced the ABC documentaries National Treasures, Korean ANZAC, Peter Berner’s Loaded Brush, Road To Tokyo and Nerves of Steel, amongst others. Nicky Ruscoe is Development Producer for ABC TV, Factual. As part of the commissioning team she’s responsible for managing and assessing new proposals and identifying and developing content for broadcast and ABC iview. Prior to her role in ABC Factual, Nicky developed and directed two successful half hour programs for Compass (ABC TV) and developed several popular children’s series for ABC3 including MY24, The 3 Factor and Pet Superstars. Ashlee Sang joins the SPA team from the Writers Guild and Scripted Ink where she was fundamental in orchestrating the development and administration of the newly created Scripted Ink fund and industry development programme. Her talents are invaluable and essential to the further development of the organisation in ongoing liaison with industry and government stakeholders. Ashlee manages the sponsorship and marketing across all areas including events, the Ones To Watch Program and Screen Producers Australia’s annual conference SCREEN FOREVER. Brennan Wrenn is the Head of Programming and Acquisitions for SBS Movies. He started his career in film distribution for Electric Pictures (now Momentum Pictures) in the UK before joining SBS, where he assesses, sources and programmes films across multiple platforms including cable, VOD and linear. Brennan’s reputation and deep knowledge of cinema, as well as his long-standing relationships with local and international distributors, means he is regularly invited to attend international film festivals and markets. The workshop schedule consists of eight 2.5 hour sessions, valued at $1,500 per session. Thursdays from 5.30pm – 8pm, February 15,22, March 1, 8, 15, 22, 29 and April 5. Up to 12 participants will be selected to attend free of charge. Selection of participants will be based on the completed Expression of Interest Form. I.C.E. supports screen sector diversity and strongly encourages applications from Aboriginal and Torres Strait Islander people, people from diverse cultural backgrounds, the LGBTQI community, and people with disability. To be considered for PRODUCE PERFECT 2018 please complete the Expression of Interest Form by Monday 29 January 2018. 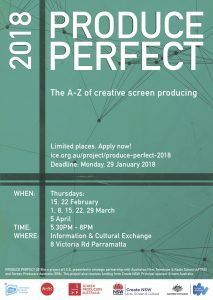 Produce Perfect 2018 is a project of Information & Cultural Exchange (I.C.E.) 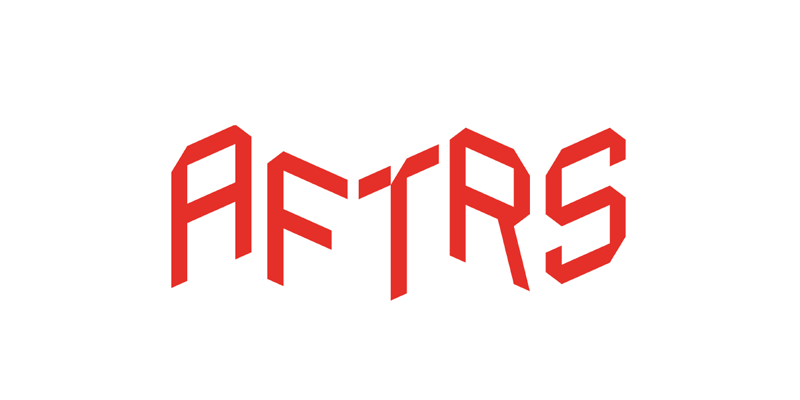 presented in strategic partnership with Australian Film, Television & Radio School (AFTRS) and Screen Producers Australia (SPA). This project also receives support from the NSW Government through Create NSW. Principal sponsor Screen Australia.